More than 150 Aboriginal massacres that occurred during the spread of pastoral settlement in Australia are now documented in an online digital map, created by University of Newcastle researchers. The online tool, which will go live today, records the massacre site locations, details of the individual massacres and for the first time in the world, the sources corroborating evidence of the massacres. 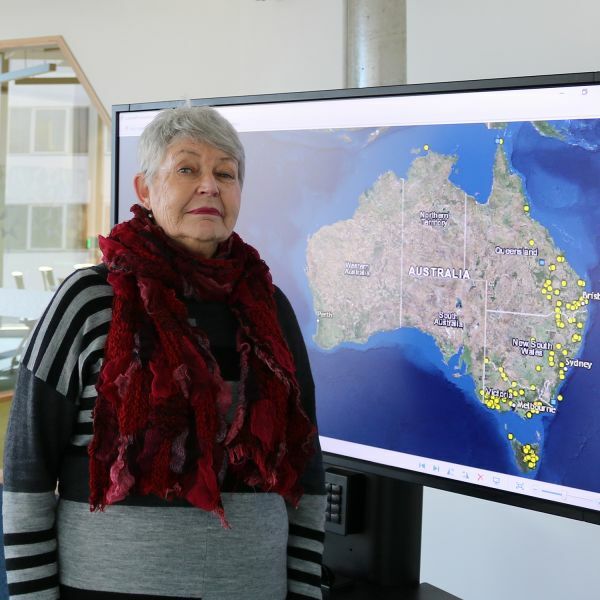 Developed by University of Newcastle historian, Professor Lyndall Ryan, a member of the Centre for 21st Century Humanities and the Centre for the History of Violence, the map is a significant step in the recognition of the periods of violence in Australia’s history. “The biggest argument in the scholarship of massacre is ‘how do we know it happened?’” Professor Ryan said. “Most massacres took place in secret and were designed to not be discovered, so finding evidence of them is a major challenge. This digital tool brings significant historical information out of the depths of archives, bringing it to life in an accessible and visual format. It has been a four-year process to map the frontier massacres in Eastern Australia, a project funded by an Australian Research Council (ARC) grant investigating Violence on the Australian Colonial Frontier, 1788-1960. Professor Ryan said there were similar maps online however this was the first one that detailed the sources of evidence of the massacres and would be a useful tool for history students, scholars and the general public. “So far we have mapped Tasmania, Victoria, most of NSW and Queensland and have about 150 massacres listed at present. It’s likely to end up being more than 200 across an 80-year period from settlement to 1872 as we progress the map further. The publically available map is available at https://c21ch.newcastle.edu.au/colonialmassacres. The website is also a contact point for the public to contribute historical information they may have about massacres to the project. “At present it’s a preliminary list as we expect to find more massacres as people come forward with more evidence,” Professor Ryan said. The field of massacre scholarship has only emerged in the last 15 years. Professor Ryan said the interest began following the Srebrenica massacre in Bosnia in 1995. “International scholars have found because massacres tend to be carried out in secret, it’s hard to get reliable information at the time it happens. Often the best information comes out later when people speak out when they know they’re not going to be killed for talking about it. “In Srebrenica nobody could speak about it when it was going on as they were too scared. The real horror came out years later and now the perpetrators are being brought to justice. “In Australia very few perpetrators were brought to justice. I’m a historian so it’s not my intention to bring people to justice with this map. However, we do know the impact of massacre reverberates across the generations. When I visit Aboriginal communities today the first thing they do is take you to the massacre site,” Professor Ryan said. The map will be launched at 11am Wednesday 5 July during the Australian Historical Association Conference at City Hall, Newcastle.